This is the age of computer, internet and mobile games. Youngsters are hooked on to these games. In some of these arcade games are mazes (in which one gets lost) with trap doors, dark alleys, tunnels and secret passages. The player’s computer-avatar has to successfully cross this maze. There are difficulties and dangers at every step. One mistake and you are out! In computer games your avatar may get two life-lines, but the third time, “The game is over!” There is a lot of excitement about these games amongst youngsters. But in real-life you only get one chance. Only a brave person will take on such challenges. Is there such a place in real world? Yes! There is one such place. Let me give you a hint. This place in central Maharashtra was once the capital of India. 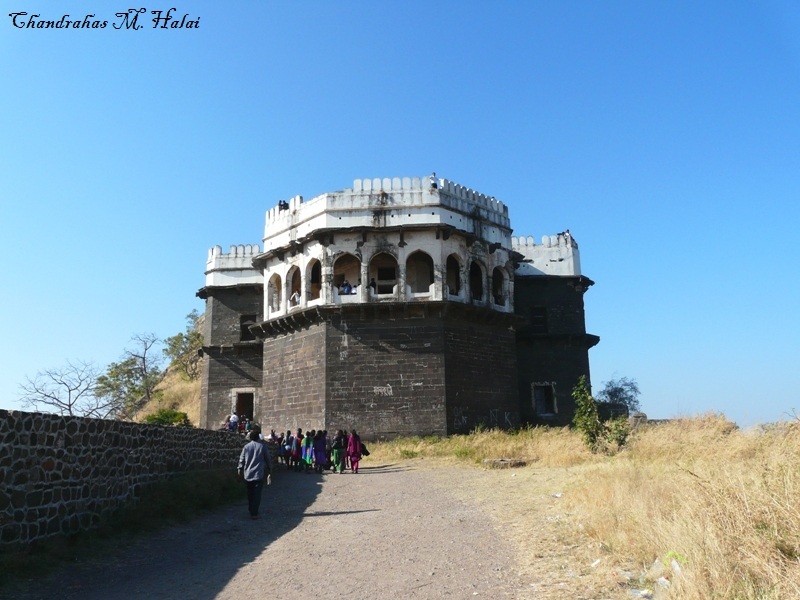 It is the impregnable, invincible Devgiri fort situated 14 kms north-west of Aurangabad. Situated on the top of the 200m high Devgiri hill, this hill-fort was built by cutting through the basalt mountain rock. This amazing, unique, impregnable and invincible fort was never won in a battle by a straight fight but always changed hands by deceit or treachery. A millennium ago, a major part of south India was under the rule of the Kalyani Chalukyas. By the end of the twelfth century their hold on power weakened and their feudatories and chieftains revolted and established their own independent kingdoms. One of these feudatory kings was Bhillam V of the Seuna Yadav dynasty. Bhillam established his kingdom in today’s central Maharashtra. In 1187, Bhillam made Devgiri his capital and due to this the Seuna Yadavs came to be known as the Devgiri Yadavs. Since ancient time rishis, sages and saints had done their penance on this land. There are many Hindu, Buddhist and Jain temples near Devgiri, thereby giving the place it’s name. The world famous cave-temples of Ellora are located very near to the Devgiri fort. Bhillam later ordered his engineers to build an invincible and impregnable fort. The engineers built such an amazing fort that the fourteenth century Moroccan traveler Ibn Batuta called it the strongest fort in the world of his time. This fort is one of the best examples of the magnificence of ancient Indian architecture, construction technology and also military genius. Yadavs built thick and high fortification walls around the hill. At regular intervals on this wall and at every bend, bastions were constructed for the security of the fort. The doors of the fort were constructed at an angle to the walls so that the elephants don’t get a free straight run to smash them. On top of this sharp spokes (or nails) were fixed to these doors. Upon crossing the first door, another door door is found at a sharp angle to the first one. Beyond the second door are narrow lanes with twists and turns, where hidden groups of soldiers would wait to ambush the enemy. Amongst these are also doors and lanes which lead to dead-ends to trap the intruders. Yadav kings had built many temples and palaces inside and surrounding the fort. Unfortunately all that remains now are their ruins. Crossing the fortifications and climbing up a little bit leads to moat that is 60 feet wide and 80 feet deep. 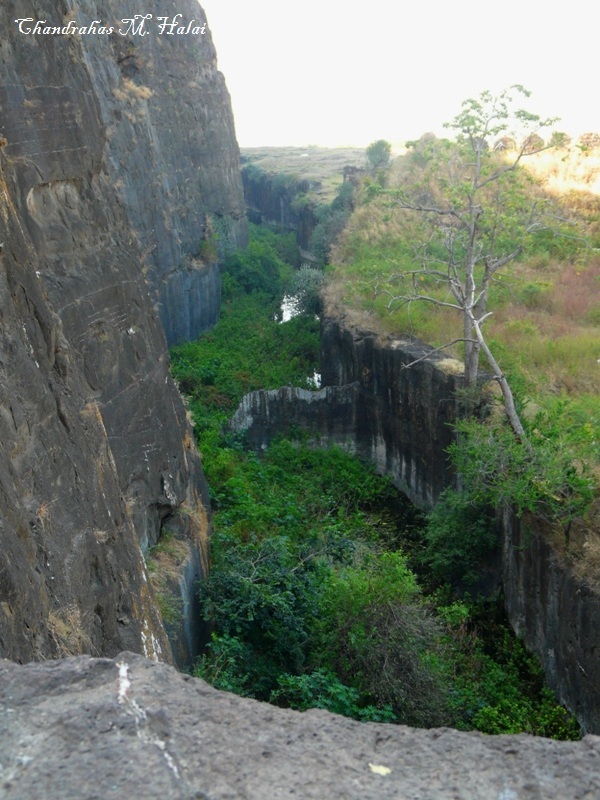 This moat was made by cutting the hard basalt rock of the Devgiri hill. There was only one way to cross this moat and that is a bridge situated about half-way the height of the moat. But when the enemy intruded into the fort, the moat was filled up with water, thereby submerging the bridge. Snakes and crocodiles were then released in this water so that no one dared to swim and cross the moat. The yadavs had carved approximately 150 feet height of hill rock into a straight vertical face and had it polished so that no one could climb the mountain. This is why Ibn Batuta had written in his travelogue that let alone men, even snakes and ants could not climb this fort. Above this part the hill is chiseled at a slight slope to the vertical and polished to be smooth so that “not even a monitor lizard (गोह in Hindi) could climb up this hill”. After one crosses the moat, the only way to reach the citadel or the inner fort is through the dark maze carved into the Devgiri hill. A new comer can spend his entire life trying to find his way out of this maze. Some paths are such that one wrong step by a person can land him into the moat below. Soldiers hidden in secret passages can ambush and slay the intruders. At some spots in this maze boiling oil used to welcome the intruders. There was an arrangement to fill certain parts of the maze with smoke to suffocate and kill the intruding enemy. On top of all these the path (i.e. the maze) to the citadel had iron gates which were closed to trap the intruding enemy soldiers. All these arrangements had made this fort impregnable. The Yadav era was a golden period in the history of Maharashtra. The Yadav kings encouraged art, literature and learning. Sages, saints, scholars and teachers were respected by them. The fame of Devgiri’s strength and prosperity had spread far and wide. After hearing about Devgiri’s fortune Alauddin Khilji’s evil eyes were set on Devgiri fort. Hence, he laid siege to the Devgiri fort in the year 1294 AD. At that time Ramchandradev was occupying the throne at Devgiri. It was obvious to Khilji that he could never win over Devgiri in a straight fight. It is said that he had bribed and replaced the sacks of food grains being supplied to the granaries of the fort with sacks of salt. After a few days of siege, the Yadavs were facing a scarcity of food, forcing them to sign a peace treaty with Khilji on the twenty fifth day of the siege and give away a huge stash of treasure as ransom. The Yadavs also had to pay annual tributes to the Khiljis. Ramchandradev was succeeded by his son Shankardev as the king of Devgiri. Shankardev stopped paying the yearly tributes to the Khiljis, in response to which Khilji’s general Malik Kafur attacked Devgiri. In the ensuing battle Shankardev got killed. Malik Kafur appointed Ramchandradev’s son-in-law Harpaldev as governor of Devgiri. However in 1317, Harpaldev revolted against the Khiljis. Malik Kafur again attacked Devgiri, killed Harpaldev and annexed Devgiri to the Delhi sultanate. This ended the Yadav era at Devgiri. After a few years the Khilji rule ends in Delhi and they are succeeded by the Tughlaqs. 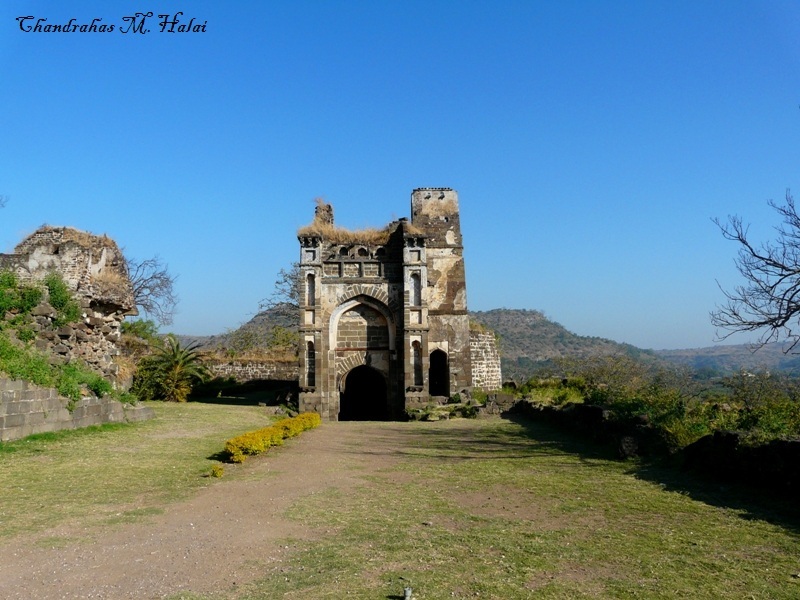 Mohammed Bin Tughlaq understood the strategic significance of the Devgiri fort. Devgiri is situated approximately at the centre of India. Tughlaq realised that if Devgiri was his capital ruling the Deccan was much easier. He planned to use Devgiri as a base to expand his kingdom’s boundary far into South India and effectively defend his kingdom from incessant attacks from the north-western boundary of India. For these reasons in 1327, Tughlaq shifted his capital to Devgiri. He also built a city outside of the fort walls and built new double fortification walls separated by a distance of 60 feet between them, around his newly built city. He also dug a moat in between the double fortification. This fortification was called Mahakot. This further strengthened the Devgiri fort. Impressed by the prosperity of Devgiri he renamed it Daulatabad (city of fortunes). However, his plans to turn Devigiri into his capital were a failure and he returned to Delhi after 17 years. When the Tughlaqs declined, their governor of the Deccan province Bahman Shah revolted and established his independent rule in Deccan. In this way Devgiri came under the control of the Bahmani sultans, who established their capital in Gulbarga. 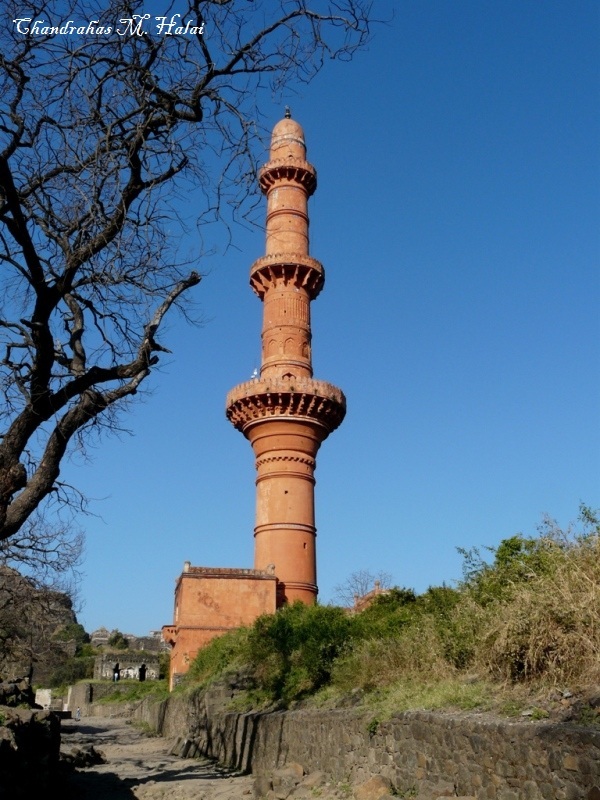 In 1435, to commemorate his victory over the Gujarat sultans, Alauddin Bahmani built a 210 feet high Chand Minar at Devgiri. By the end of the 15th century the Bahmani sultans hold on power weakened and their provincial governors rebelled and established their own independent kingdoms. One of these governors, the governor of Ahmednagar established the Ahmednagar Sultanate. In this way, Devgiri came under the control of the Nizams of Ahmednagar. Nizams of Ahmednagar had built a palace named Rang Mahal at Devgiri. This palace is now in ruins. 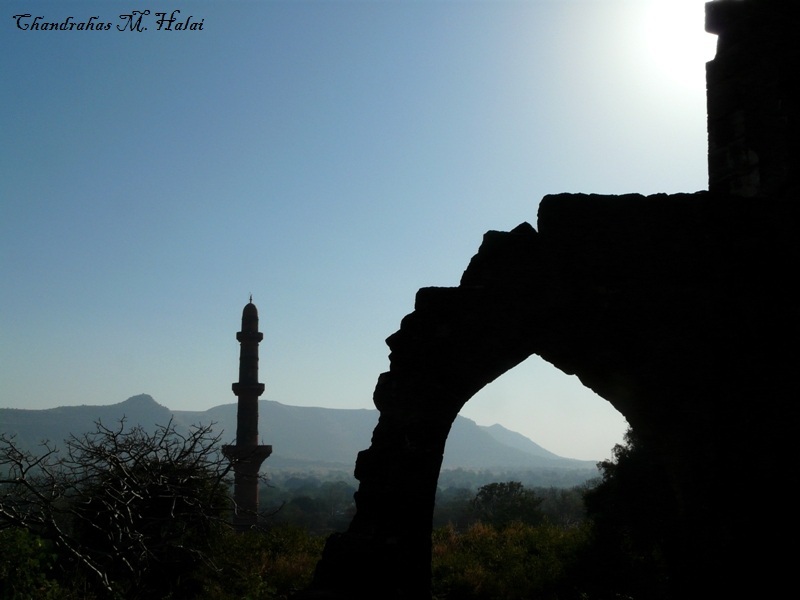 In 1605, Malik Ambar, the general of Ahmednagar, made Devgiri the capital of the Nizam-Shahis. To protect Devgiri from the attack of the Mughal army, Malik Ambar built one more outermost fortification wall called the Ambarkot. As a result the defences of the fort were further strengthened. In 1633, Shah Jahan’s army laid a siege to Devgiri fort for 4 months and captured the fort. This ended the Nizam-Shahi rule in Ahmednagar. Shah Jahan had built a palace named Baradari in the inner fort at the top of the hill for his stay. You can get a bird’s eye view of the beautiful surroundings from the top of the Devgiri hill. Aurangzeb had stayed at Devgiri during his Deccan campaign to annex the Deccan sultanates and the Maratha kingdom. He had placed many big and small cannons in the Devgiri fort, many of which can still be seen today. Aurangzeb had built a palace here in which Chinese tiles were inlaid; hence this palace came to be known as Chini Mahal. The last Adil Shahi sultan of Bijapur, Sikander and the last Qutb-Shahi sultan of Golconda Abdul Hasan Tana Shah were imprisoned in this palace. Aurangzeb had also imprisoned Chhatrapati Sambhaji’s queen Yeshubai and his son Shahu Maharaj in the same Chini Mahal. After the death of Aurangzeb, the Mughals weakened and the era of Maratha dominance began in India. The Mughal governor of Deccan, Asaf Jah revolted in 1724 and established his independent rule in Hyderabad. In 1760, the Maratha general Sadashivrao Bhau (nephew of Peshwa Bajirao), defeated the Nizam of Hyderabad and seized control of Devgiri. But later, in 1769, due to internal conflict between Maratha sardars, the Nizam of Hyderabad again got control of Devgiri, which was later recaptured by the Marathas after the battle of Kharda in 1795. In 1948, after Independence Sardar Patel conducted operation Polo and freed Hyderabad from the Nizam and at last Devgiri was returned to its real inheritors, the people of Bharat. Thus, Devgiri remained invincible for eight centuries and it changed hands only through deceit and treachery. 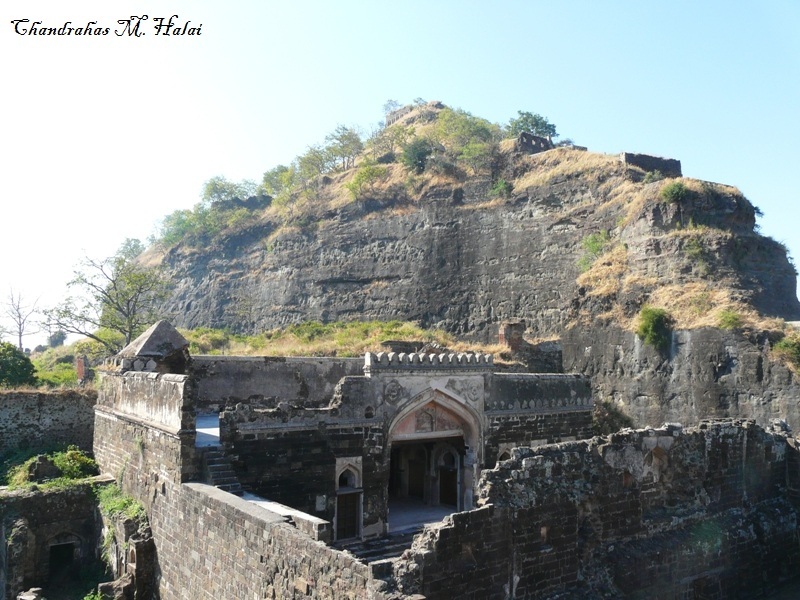 All in all, Devgiri fort enlivens the history of not only Maharashtra but also that of India. Engineer, Scientist, Mathematician, Author, Photographer, Painter, Designer and Management consultant. Chandrahas Halai is an engineering consultant with interests in many diverse fields like mathematics, physics, aerospace, mechatronics, and mechanical engineering. Since last 20 years he has been involved in engineering consultancy and for the last 12 years he is involved in computer training and consultancy. He is also author of the book Vedic Mathematics Inside Out.